At the closing ceremony of the 8th International Conference on Islamic Economics and Finance, which was held in Doha, Qatar on 19-21 December 2011, the Statistical, Economic and Social Research and Training Centre for Islamic Countries (SESRIC) has been elected to host the 9th edition of this prestigious research conference in the field of Islamic Economics and Finance. The series of the International Conference on Islamic Economics is among the most prestigious academic events in this field, and has made a significant contribution to conceptualizing the theory and practice of contemporary Islamic economics and finance through research and intellectual dialogue. The first conference was held in Makkah, Kingdom of Saudi Arabia in 1976 under the auspices of King Abdulaziz University. Other conferences in this series were hosted by International Islamic University Islamabad (1983), International Islamic University Malaysia (1992), Loughborough University, UK (2000), University of Bahrain (2003), Indonesian Ministry of Finance and the Central Bank of Indonesia (2005), and the King Abdul Aziz University (2008). 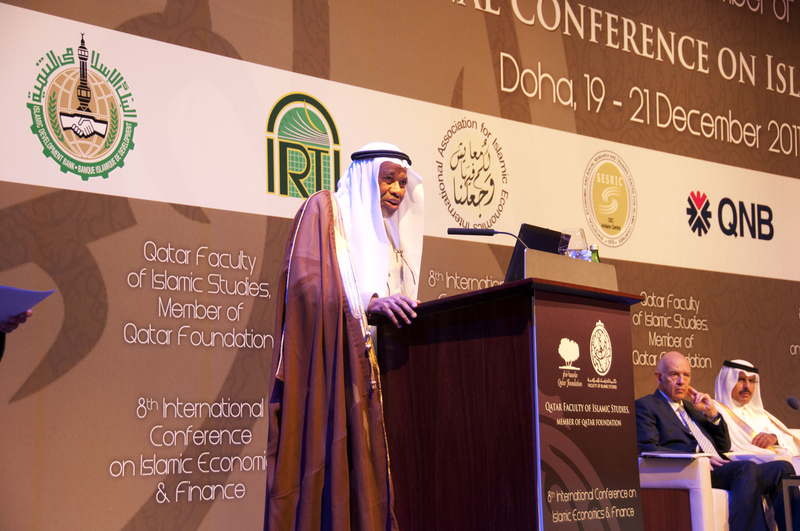 The 8th Islamic Conference on Islamic Economics and Finance was jointly organized by Qatar Foundation’s Faculty of Islamic Studies (QFIS) through its Islamic Economics and Finance Centre, the Islamic Development Bank Group through its Islamic Research and Training Institute (IRTI), the International Association for Islamic Economics (IAIE) and the Statistical, Economic and Social Research and Training Centre for Islamic Countries (SESRIC). 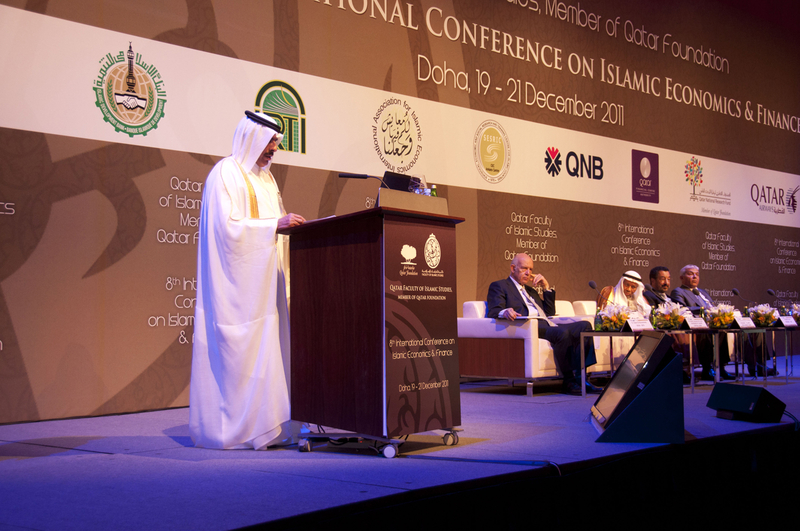 The Conference was held on 19-21 December 2011 in Doha, Qatar at the Qatar National Convention Centre in the Education City. Other sponsors of the event include the Qatar National Bank, the Qatar Financial Centre Authority, the Qatar National Research Fund and Qatar Airways signed on as the Official Carrier. 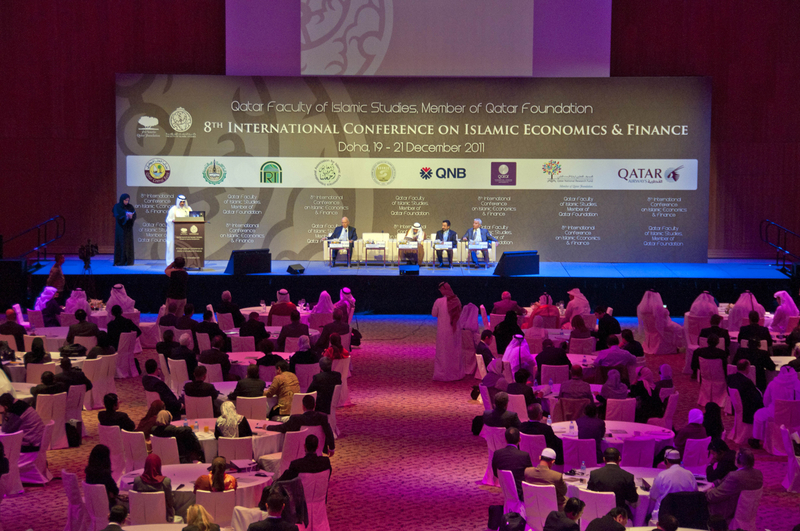 Under the theme “Sustainable Growth and Inclusive Economic Development from an Islamic Perspective”, the Conference brought together economists, central bankers, senior professors, and young researchers from over 35 countries to present their research papers on the field of Islamic economics, banking and finance, with a focus on issues related to growth, equity, and stability. In addition to keynote speeches, the Conference included thematic plenary sessions as well as parallel working sessions. Over 120 research papers were presented during the course of the three days of the Conference. 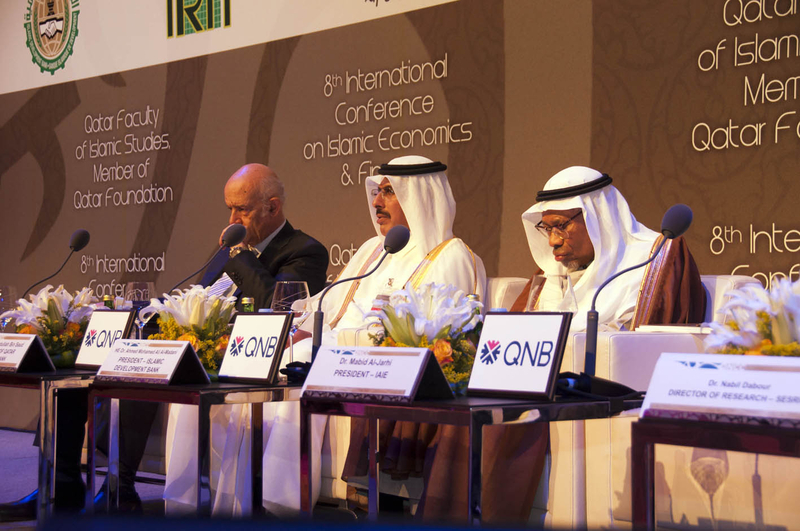 These papers, which were selected from approximately 815 submissions, focused on various Islamic Economics and Finance related issues, including: the economic doctrines and values of Islam; methodology and scope of Islamic economics; history of Islamic economic thought and economic management; effects of Islamic principles on fiscal and monetary policies; access to financial services in Muslim countries; the progress of OIC member countries with respect to the UN Millennium Development Goals; the experiences of Islamic microfinance institutions; the role of Zakah and Awqaf; financial stability and risk management; the link between Islam and socio-economic development; the design of Islamic contracts and legal framework; Islamic business ethics and values; and the efficiency of Islamic banks, institutions and markets.